A little late on posting about how we spent our Halloween this year, but better late than never. I love the fact that Michael is starting to understand how fun Halloween is. I mean, it's always been fun all the other years, but this year he seemed to have so much more fun. We started the day out with him decorating his pumpkins. Yes, pumpkins - he did two this year. 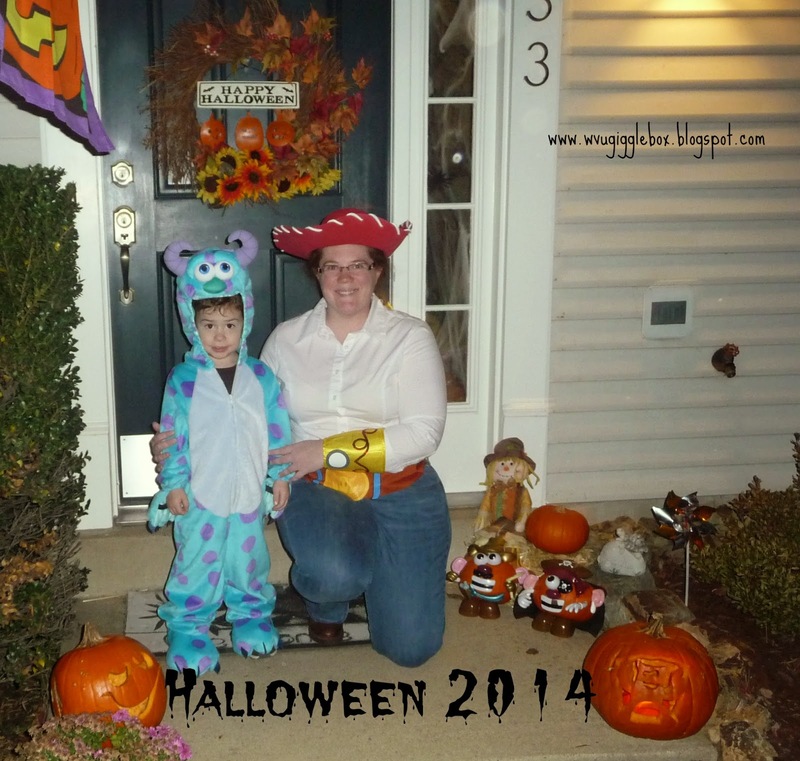 You can learn more about his, Jon's, and my pumpkins on my post Pumpkin Carving 2014. Once Michael was done with his pumpkins, we headed over to Chuck E. Cheese for lunch. We had told him earlier in the month that if he was good the whole month for chapel at school he would get to go somewhere special. This was his special reward. Since it was Halloween, if you came in your costume you received 50 free tickets. Both of my boys had lots of fun! We were originally going to go and trick-or-treat at the mall before heading to our neighborhood, but Michael got a late start on his nap. We decided that a well rested Michael was more important than him getting more candy. Jon took Michael out in our neighborhood while I stayed home passing out candy. They ended up coming to the house two times to empty Michael's pumpkin and then the third time was to stay in. Michael was all about making Daddy walk all over the neighborhood to get more and more candy! How was your Halloween? What fun things did you do?